Running out on stage in sneakers, to the cheers of the crowd after an hours-long concert by local bands, he struck an optimistic tone for the future of the world’s third-largest democracy. 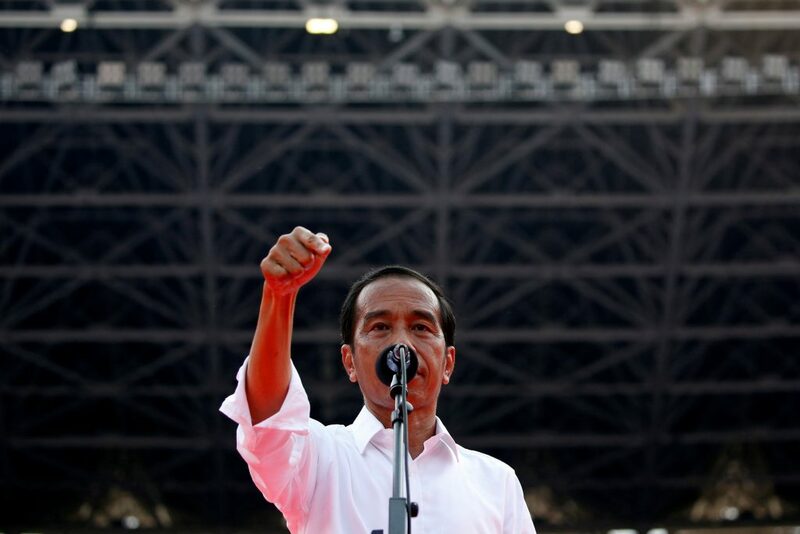 In a weekend debate, Widodo and his running mate, Islamic cleric Ma’ruf Amin, said their opponents, neither of whom has served in public office for more than a few months, did not understand managing macro-level economics. On Wednesday, polling stations will open at 7 a.m. in eastern Indonesia and close at 1 p.m. on the western side of the country. Unofficial “quick counts,” based on vote samples from polling stations, will be released hours after polling ends and the winning presidential candidate is expected to be apparent by late Wednesday.